The new bulb can be controlled via Siri when you’re at home, and remotely via an Apple TV when you’re not. Good news, everyone! In an effort to shield us from the existential dread that comes from having to turn on the lights in your home with a switch on the wall—like an animal—LEDVANCE has given us a HomeKit and Siri-controlled lightbulb: the Sylvania Smart Multicolor A19. You won’t find it on the CES show floor, but LEDVANCE is showing its latest smart bulb in its hotel suite in Las Vegas. The bulb can be controlled using an iPhone or iPad running iOS 10 and later or an Apple TV, removing any excuse that Apple aficionados might have for stumbling around in the dark. Adverse to tapping and swiping? 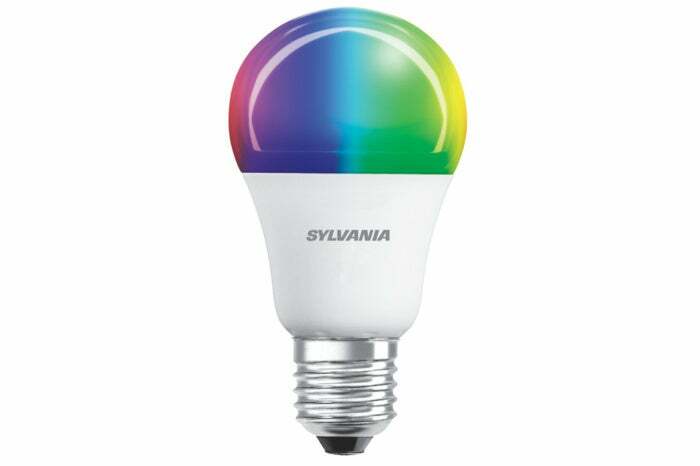 No problem—the Sylvania Smart’s still got your back: The bulb can also be controlled using Siri. As its name telegraphs, the Smart Multicolor A19 can be screwed into any socket that accepts an A19 bulb and can be tuned to produce thousands of colors. 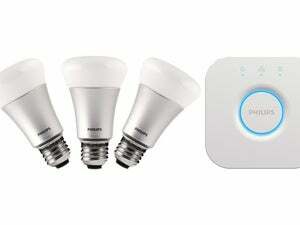 The Bluetooth-equipped bulb can be controlled with any Apple device that supports HomeKit, making it easy to tweak the luminosity in each room of your home to meet your needs. And, as it works with Siri, telling your iPhone to turn on your lights on your way home from work will work a treat (provided you have an Apple TV at home). Sylvania tells us that these HomeKit-enabled beauties should be available via Amazon early this year.